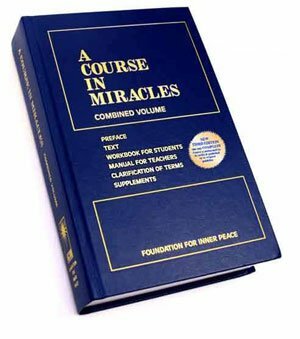 Although A Course in Miracles is often quoted and mixed with New Age spiritualities, they are really not the same. ACIM with its pure non-dualism does not compromise on its unique and consistent principles with the mostly existential theories of New Age movement. For instance, ACIM clearly states that the consciousness is the domain of the ego, yet the collective consciousness is believed by many in the New Age circles to be God or Spirit. I believe I am quite qualified to point out the obvious differences between ACIM and New Age spiritualities, having been the founder and editor of a well-regarded metaphysics magazine before giving it up to become a student of ACIM. The glaring differences made it impossible for me to continue the metaphysics magazine which was deeply rooted in New Age spiritualities. Now, I no longer have to question why “highly-regarded” New Age teachings are often conflicting with one another. This is not a scholastic study but merely to point out the glaring differences so that the New Age community can see that ACIM principles do not fit into their teachings and that ACIM students could better focus on their path and not straddle on both sides. This world is not real. God did not create this world nor know of its existence. The entire universe is an illusion dreamt by the Son of God. God made this world so that it can experience itself. This world is very real. Pure non-duality: Anything that comes from God must be exactly like Him. God could not create anything that is not perfect or else He wouldn’t be perfect. Either semi-dualism (recognizing that God is love) or non-duality (recognizing life is an illusion but thinking that illusion was made by truth). Consciousness is the domain of the ego. Consciousness was conceived after we dream of separation. The collective consciousness is God/Spirit. Spirit is unchanging, perfect and eternal. This is the state of heaven. There is only change. We are always evolving and striving for perfection. Note: Nothing is perfect in this world. Truth is not different from everyone. Truth is truth. Truth is relative. Everyone is entitled to their own truths and there are levels of truths. There are no levels in heaven. We are either enlightened and back in reality with God, or still dreaming of separation. Only life in heaven is real. There are dimensions or densities based on vibrations/energy levels. The higher dimensions or densities are supposedly more enlightened. Life in all its myriad forms or possibilities are already scripted at the instant of separation. The only choice is in our mind where we make a decision to identify with Holy Spirit or with the ego when interpreting each moment. We can make choices at every moment and our choices determine our life script. Life in this world is mad/insane. Nothing makes sense in this world. The world is made as an attack on God. Life is beautiful and meaningful. Everything exists for a higher purpose. There is only one higher self — Holy Spirit. Also known as the voice for God, our memory of God or the reflection of God’s love in our dream. We have individual higher selves (souls). Collectively, we are the Son of God. God created only one Son of God. Technically speaking, there is no “we” since separation did not actually occur. Collectively, we are God itself. We are each an aspect or fragment of God. There is no evil or devil, only illusory madness projected by our ego mind and thankfully, they are not real. Some new age beliefs postulate the existence of evil forces. There are also spiritual exercises to protect oneself from negative energies. Every attack is an attack upon ourselves. We project our unconscious guilt onto (dream) figures or situations which seemingly attack us. So that now they are guilty, not us. And we do not have to examine the cause of our guilt which arises from the illusive separation from God. Being individual souls, the attack is by others. Some teachings posit that acts of hostility were planned between the souls before life as a lesson. Life is a lesson. Every opportunity is used by the Holy Spirit to teach forgiveness in order to undo the ego mind. Life is an experience. Every choice and consequence has a higher purpose. Time and space are illusions and Spirit has nothing to do with them. We should not spiritualize anything in the world of form. Events, places, certain timings and numbers could have spiritual meanings, such as full moons; pyramids; Harmonic Convergence; 2012; Feng Shui; astrology; and numerology. * Note: I am only listing the common New Age beliefs since there are many schools of thoughts in the New Age movement. Please do not take it to represent every New Age spirituality. Also note that some New Age spiritualities actually do embrace part of ACIM principles. Many people in the New Age movement switched from religions because they realize that religions do not make any sense to them. Likewise, I can only say that I begin to understand ACIM because I came to a realization that New Age teachings and the worl no longer made any sense to me. I concluded that a loving and perfect God could not have created this insane and imperfect world where man is killing man and everything dies or decays. God is dead, almost literally, but simply because God is not found within this illusion. So perhaps until one has arrived at this conclusion one day, it is likely difficult for him or her to accept the radical teachings of ACIM. And as I have pointed out in the differences above, if one truly understands ACIM, he or she could not possibly be mixing it up with any New Age spirituality or religion. While there are some similarities at the surface, they are just not the same at the core. I am coming from love. In the East they call it Maya. In the West we call it MEST. Matter/Energy. Space/Time. Your truth is well spoken, life is a dream within a dream. Also the Earth=Heart, she peopled us and we are composed of her elements. One cannot know everything, all i ask of you is, keep the door open. Much is misunderstood about 2012, but there is a Galactic shift happening. I realize we created the Universe as a place to hide from the face of God. This shift is an Astronomical fact. A super gravity wave left the center of the Milky Way 26,000 years ago and will be here soon. The Sun is going into its 24th solar cycle and it will be a strong one. If one’s cup is upside down it cannot be filled. Lak’ech Ala K’in. Sunarrow. I loved this explanation of differences in AMIC and New Age. It is clear, concise and covers a lot of issues. In my life I have spent years of time, study and practice with both. AMIC being my practice now. My ego trip need is satisfied. My guilt for caring to remedy the situation will be removed as I keep up my daily ACIM practice. Again – THANK YOU ! BBC Horizon 2011: What Is Reality ? Salvation lies in the simple fact that illusions are not fearful because they are not true. They but seem to be fearful to the extent to which you fail to recognize them for what they are; and you will fail to do this to the extent to which you want them to be true.